Easy Forms is a tool to create surveys and polls with ease, display them on your website, and manage the results with a robust toolset. 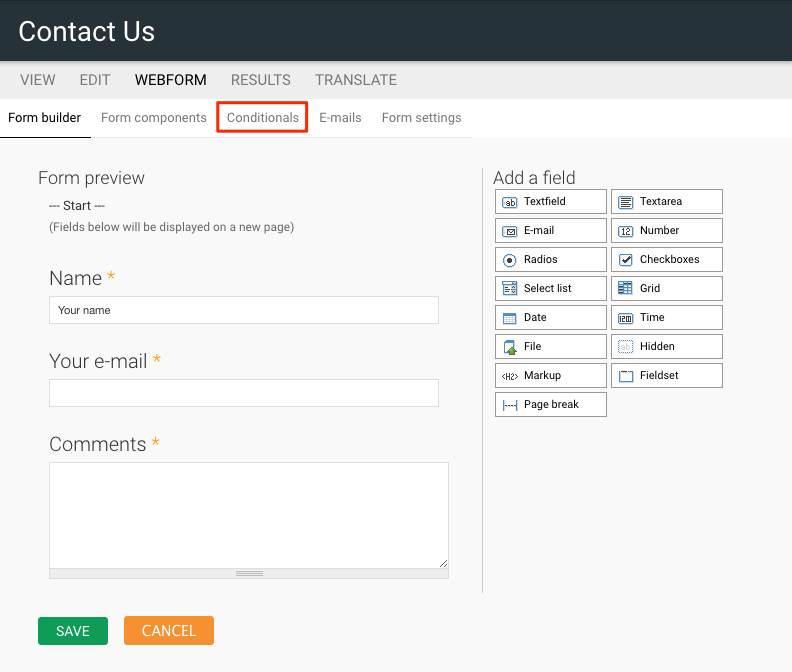 Confirmation Message: Use the WYSIWYG editor to add a message to be shown upon successful submission of your form. If the redirection location is set to 'the Confirmation page' it will be shown on its own page, otherwise, this displays as a message. Redirect Location: Choose here where the user will be redirected on completing of the form. You can choose the confirmation page, a custom URL, or no redirect, which will reload the current page. Submission Limits: This is where you can limit the number of submissions of your form. You can choose to have an unlimited form, a form limited by the number of submissions, or a form that limits the number of forms per user. A user is identified by their user login if logged-in, or by their IP Address and Cookie if anonymous. Status of this Form: This allows you to open or close the form. 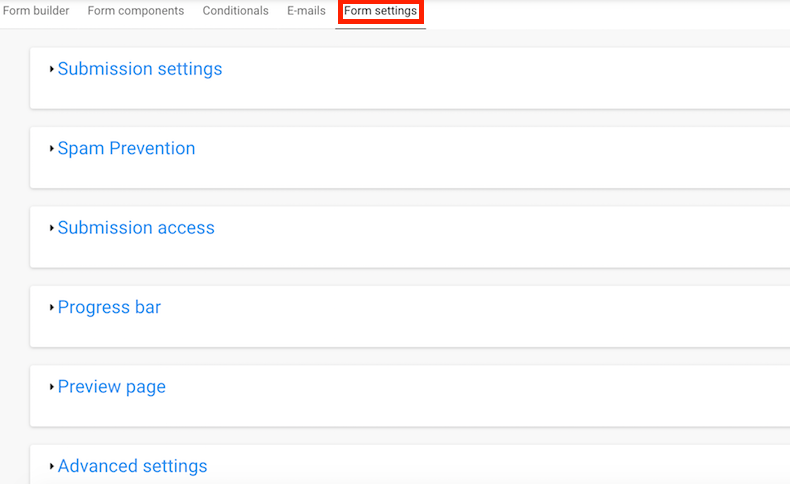 Closing a form prevents any further submissions by any users. Select 'Spam Prevention' to open the tab. Spam Prevention: This tab allows you to enable a Captcha Spam prevention tool. To read more about Spam Prevention and Captcha, refer to the Stacks User Manual article Anti-Spam. Click to enable this tool. Select 'Submission Access' to open the tab. 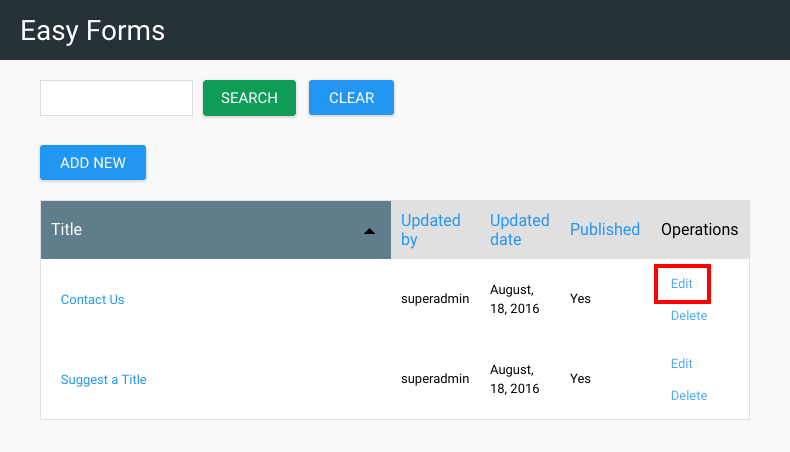 Submission Access: This tab allows you to choose which user roles can submit this form. 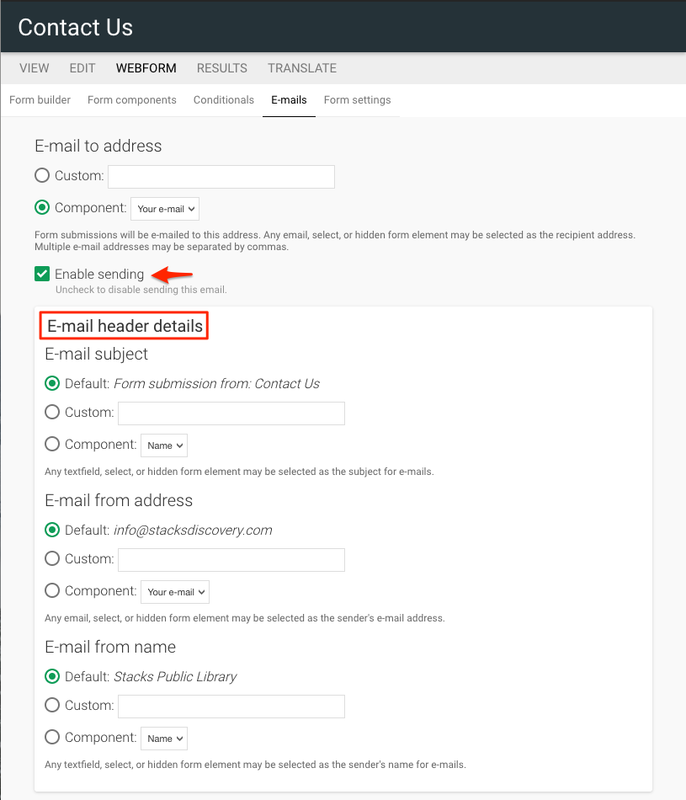 It does not prevent access to the webform page but prevents certain users from submitting this form. 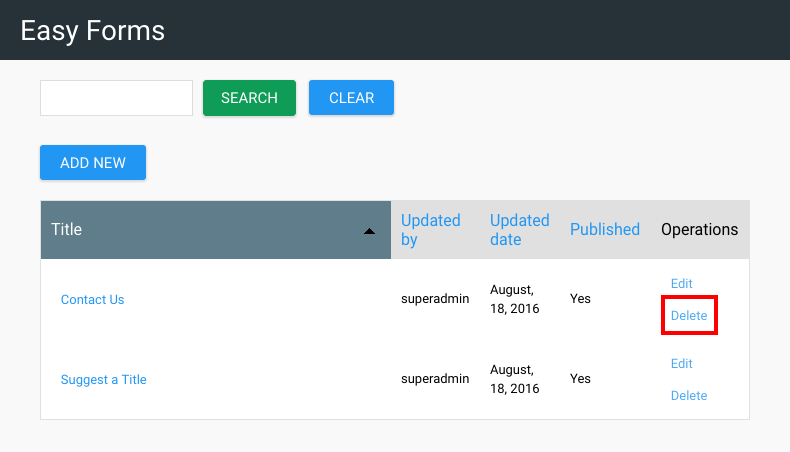 Choose roles such as 'Anonymous User' and 'Authenticated User' and more. Select 'Progress Bar' to open the tab. 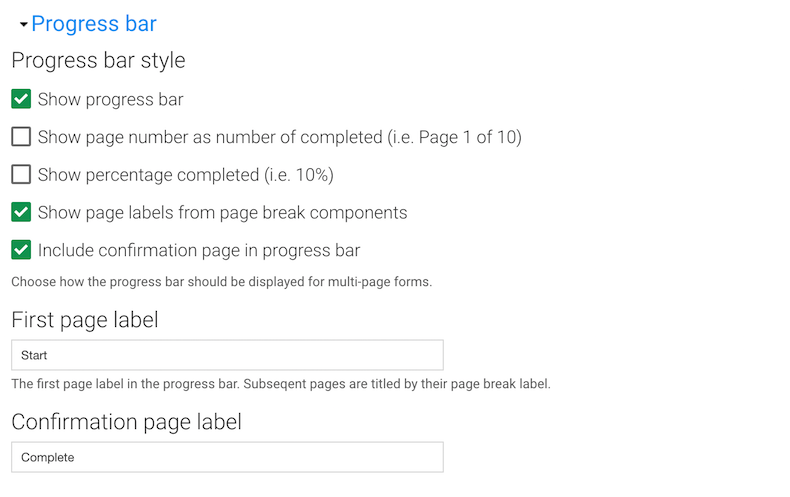 Progress Bar: This tab allows you to enable the progress bar and configure the style of the progress bar. You have options here to choose how the progress bar should be displayed for multi-page forms. Select 'Preview Page' to open the tab and view the options. 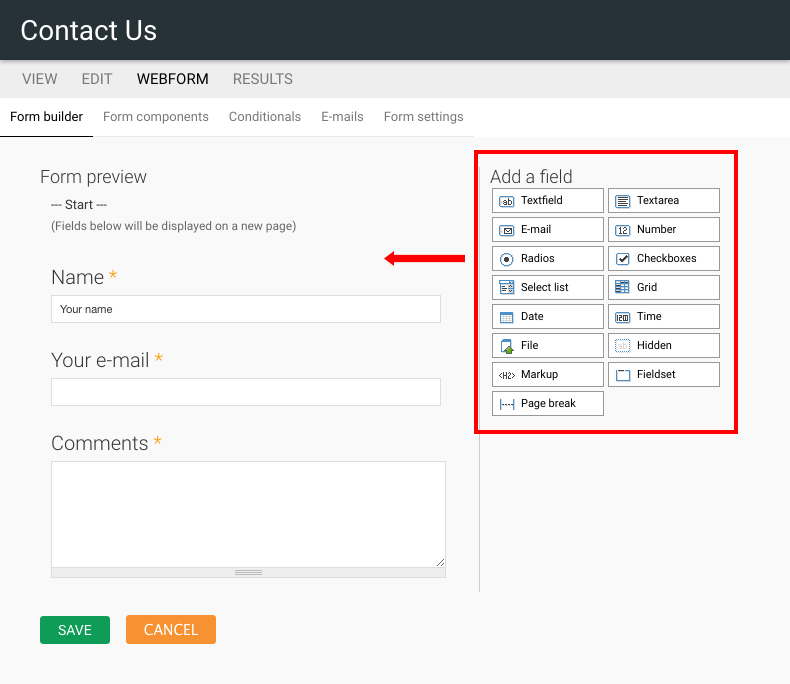 Preview Page: This tab allows you to add a preview page for the user to view the form before submitting the form. Click to enable. Click to open the 'Advanced Settings' tab. Advanced Settings: With Advanced Settings, you can add a 'save draft' option for your users, enable an automatic save for partial submissions, enable show the previous submissions notification when the user has previously submitted this form, and allow confidential submissions. 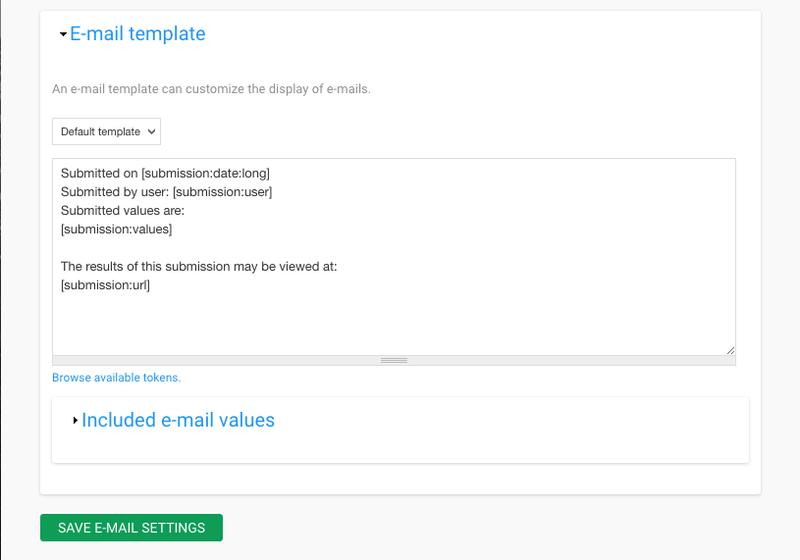 You can also configure the label on the submission button and configure the form submission numbering. Always Click 'Save Configuration' once you have selected your options.